Will cleaning my carpets ruin them? - "London's finest cleaning"
The origins of this idea date back many years ago when it was commonplace for carpets to be cleaned using cheap and inferior detergents. These detergents coated the carpet with a sticky residue which then rapidly attracted soil making the carpet look worse than it did before cleaning. It is no wonder then that previous generations of our families lost faith in carpet cleaning and propogated the “don’t clean your carpets” theory that now refuses to die. In the past thirty years there have been major developments in both carpet cleaning methods and solutions. Historically carpets were “shampood” with inferior detergents. These detergents were left to dry to a sticky residue in the carpet causing the resoiling to happen. You could liken this to shampooing your hair but not rinsing it with water! Today carpets are rarely shampooed. They are predominantly cleaned using a two part process where a cleaning solutions is applied to the carpet and then rinsed away using some sort of extraction machine. This process leaves carpets cleaner, drier and with less residue. Further developments have occurred with the advent of the Woolsafe Organisation(started as the International Wool Secretariat) in 1990. One of the services provided by WoolSafe is the testing and accreditation of wool carpet cleaning and maintenance products. In particular carpet cleaning solutions are tested and accredited as safe for use on wool carpets. Part of this testing is to make sure that no sticky residue is left in the carpet. Today you can be confident that carpet cleaning won’t ruin your carpets if you use a professional carpet cleaning company like Designcare. 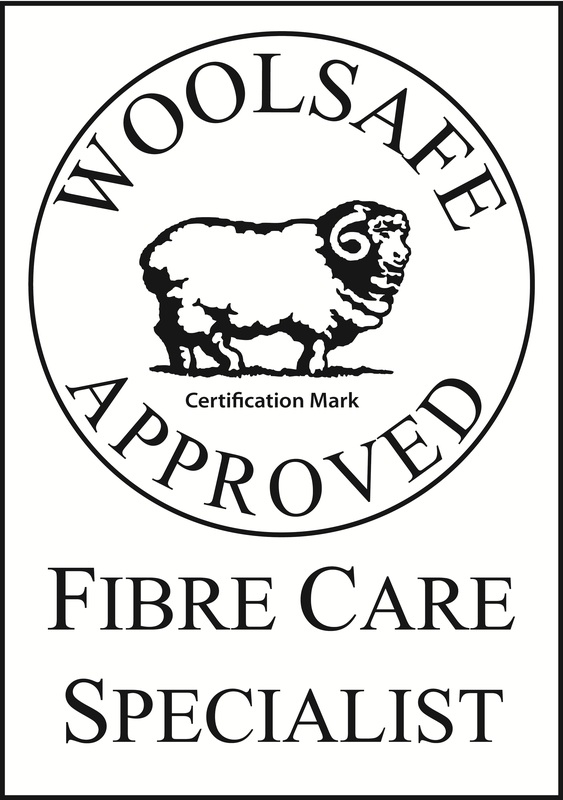 At Designcare we use safe and natural solutions which are WoolSafe approved and we can guarantee no resoiling.